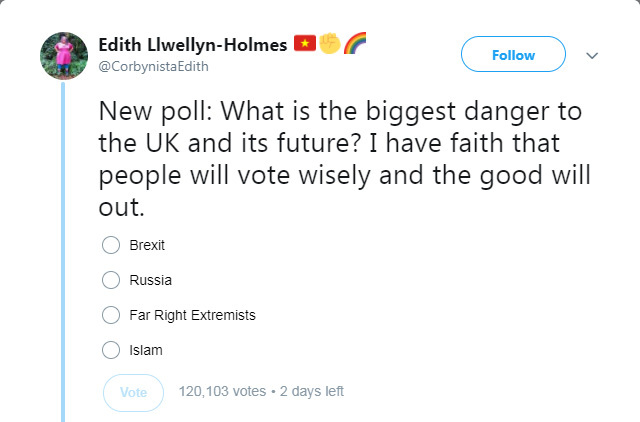 A woman who describes herself as a "non-binary Socialist & LGBTQIAPK activist" posted a poll over the weekend on Twitter asking what's the "biggest danger to the UK and its future." 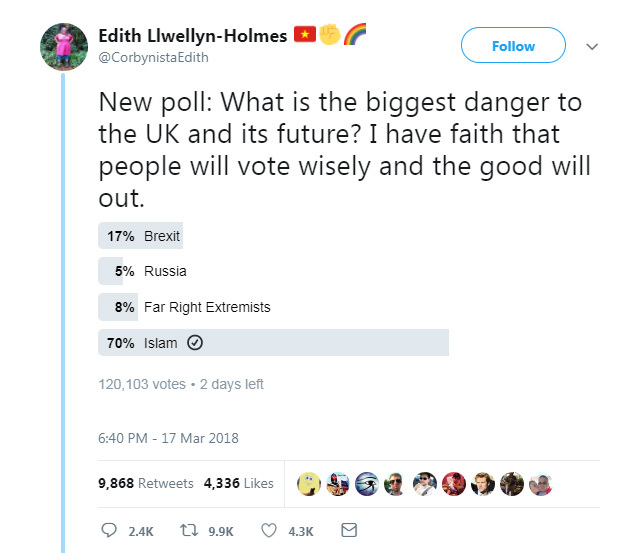 "I have faith that people will vote wisely and the good will out," she wrote, listing Brexit, Russia, Far Right Extremists and Islam as the choices. Is this woman actually this crazy or is this an elaborate troll? Libs are so off the wall these days it's hard to tell. Regardless, the stars aligned for some great comedy.